This is a letter written to all expecting mothers with five pieces of advice. Motherhood is a unique experience. It is both joyous and painful. 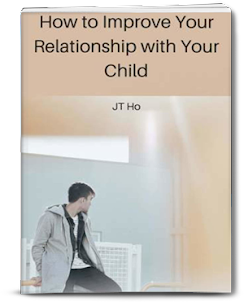 I’m writing to you as an old mother whose childbearing years are over and who is not likely to have a baby again. This letter contains the things that I’ve learnt and the things that I wished I knew or someone had told me about being an expecting mother. It contains the things that I did well but also my regrets over some things that I wish I had done differently. In a way, this is a letter to my younger self. 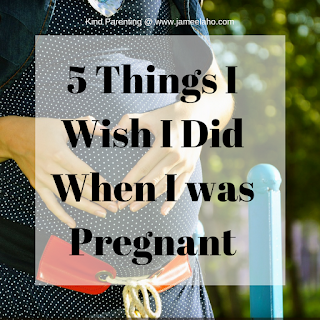 The first thing that I wished that I did was to retain the calmness throughout all of my pregnancies. No matter what life throws at you or what’s happening around you, remain calm and have peaceful positive thoughts. Why? Because your foetus can feel your emotions. Your body not only feeds your foetus nutrients to grow physically but also your emotions are passed onto your foetus through neurohormones that affect your foetus’ brain development. When you’re stressed or depressed, stress hormones such as cortisol, are released that passes through your placenta to your foetus. Likewise, when you’re happy and relaxed, pleasure hormones such as endorphines are released. 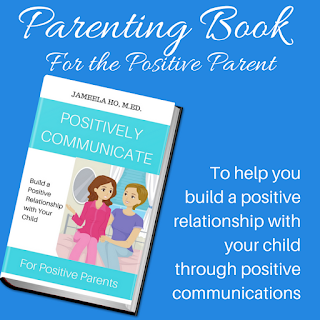 The result is that babies who developed in a stressful womb environment are more irritable and hyperactive whereas babies who developed in a calming womb environment had a happy and calm disposition. I can attest to this. My first pregnancy was very smooth and calming and relaxed. At that time, we were living with my parents and my unmarried sister. I was well taken care of. 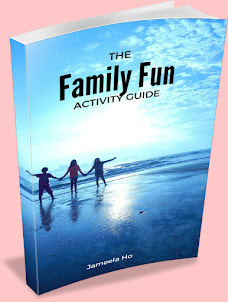 I didn’t have to worry about the cooking and the cleaning and any housework – my mother and sister did them all. All I had to do was relax and enjoy the ride. By the time of my second pregnancy, we had moved out because the house was getting too small for all of us. Let me tell you that it was the most stressful time. All of a sudden I had to deal with the housework and a young child by myself. There was no one to entertain my child so that I can do the necessary housework. My body was no longer cruising along as if it’s one long lazy sunny afternoon. It was hurried and emotionally wound up. My poor second child! So emotionally volatile, even to this day. My first child, mashaAllah, so peaceful and calm. Coincidence? I believe not. You could test it out yourself but I wouldn’t want you to chance it. Get help if you need it. Ask family, relatives and friends. Just retain the calmness. Those who believe, and whose hearts find satisfaction in the remembrance of Allah: for without doubt in the remembrance of Allah do hearts find satisfaction. When you do recite or listen to the Quran though, make sure that you feel the peacefulness and tranquillity and awe. Don’t let it just be words that come out of your mouth or words that enter your ears, but make it a feeling. Remember Allah. Feel the emotions. Feel that Allah is speaking to you. When you feel at peace and gratitude then the happy hormones will come. I was living on cloud nine during my first pregnancy. I had plenty of time to read and listen to the Quran. It was the first time in my life that I could finish reading the Quran during Ramadan, Alhamdulillah. My second pregnancy? I did recite and listened but to my regret, not as much as during the first pregnancy. There’s another benefit to reciting and listening to the Quran especially during the last few months of pregnancy. Your foetus can actually hear you and hear the recitation. It will recognise the rhythm of the Quran recitation and have memories of it when he or she hears it again after birth. Apparently, this speeds up the recognition of sounds in the Quran. Better for Quran memorisation? Alhamdulillah both my children are quick at memorising the Quran. Yes, have conversations with it. Science has already proved that the foetus can hear sounds. 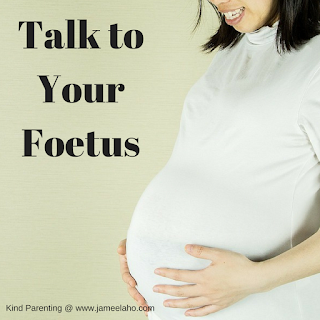 If you talk to your foetus then as it grows and comes out into the world then it will recognise your voice. Talking to your foetus allows you both to bond. It finds comfort in hearing your voice and the attention that it’s getting. It will feel the love through your happy hormones. For you, paying attention and talking to your foetus will make your baby seem more real so that when the time comes for baby to come out, the bond is already there. Did I talk to my foetus? I’m sure I did and I remember singing nasheeds to them. Bonding was not a problem as I fell in love with my babies at first sight. So many expecting parents think that the most important thing in the world for their new born babies is having a unique and beautiful sounding name. Don’t fall into this trap. It’s more important for your baby to have a name of good character that he or she can live up to. Choose from the names of the Prophets, the Companions, scholars, those mentioned in the Quran and ‘Abdul’ in front of one of the 99 Names of Allah. If one of their story or the meaning of the name resonates with you and your husband then this is the name for your child. When you give your child a name of someone then this becomes his or her role model. He or she will always have someone’s footstep to follow in. It gives them direction. Compare this with naming your child after a movie star, a singer, a planet, a country, a city, a flower, an inanimate object or something made up that has no meaning. Who or what becomes the role model? But be aware that you can’t claim a name for yourself or your child without willing to work at it. Many parents give their children beautiful Muslim names such as Muhammad and Abdullah but aren’t active in teaching their children about our Prophet Muhammad, peace and blessings be upon him, or what it means to be a slave of Allah. They name and hope it’s enough to guarantee success in this life and the Hereafter. It doesn’t work this way. For my children, we chose the names of Prophets. Each Prophets have their own unique ability that they’re well known for. Subhanallah, this is the one quality that as parents my husband and I have to constantly work at being and teach it to our children. If we don’t have it then how do we teach it to our children? When you choose a name, make sure that you are willing to work at it yourself so that you can teach it to your child. Don’t be in a rush for baby to come out. The time will come soon enough. And when it comes, you won’t have a moment’s rest until many months later. So enjoy the long slow ride of pregnancy. Take it easy, take it slow. Enjoy the moment. Live in the now. What will be, will be. Don’t worry about the future or regret the past. OK, no more clichés because I think you got idea. Remember that when you enjoy being pregnant your happy hormones come rushing out and your baby will feel the love. I loved my first pregnancy. It was a wonderful feeling and I really enjoyed it. But as you would expect, my second pregnancy was different. I couldn’t enjoy it as much as the first. Even though my children know that I love them both and are secure with my love for them, my youngest still has his peculiar moments. He cuddles me the most and has most of my attention – maybe it’s because he’s the youngest. But when he sees his elder brother cuddling me, which is not as often as he does, he would sidle up between us and slowly and subtly try to wedge himself in the middle. Is this the remnants of a past memory in the womb? 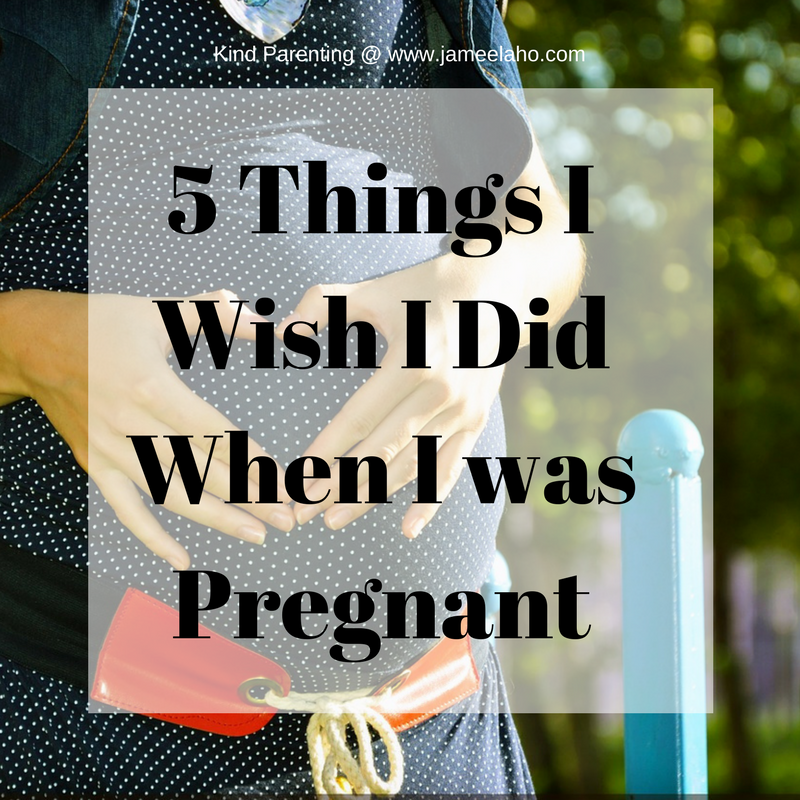 So, dear expecting mother, these are the five things that I want you to know and wish that I did when I was pregnant. Take from it what you will and when you’re older and wiser, you can write a letter to a new expecting mother and see if they are the same. I did all of them in my first pregnancy... the name we chose was not Muslim in the sense that it carries and Islamic concept, or that it was a name of a prophet, or one of the sahabah, but it was in the sense that it does not carry any negative meaning. Or a meaning that contradicts with our Islamic beliefs. 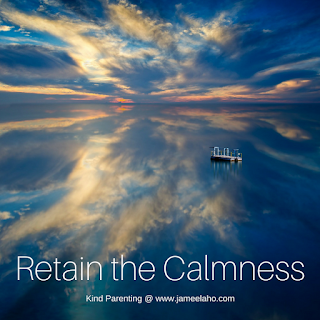 Yes it's hard to remain calm with a boisterous toddler but it's all a part of our personal development. If we can reach that goal then are better because of it. PS Let me know when you're pregnant? !